Used Ford Grand C-Max Review - 2011-present | What Car? What's the used Ford Grand C-Max MPV like? 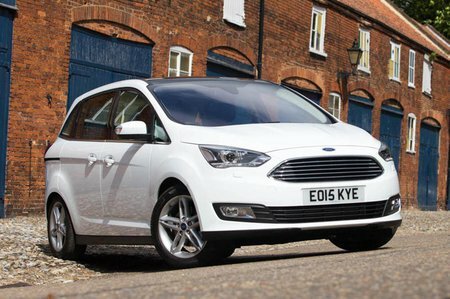 After the initial success of the Focus-based, five-seat C-Max MPV, Ford launched the second-generation version as a slightly bigger and much smarter car than the original, edging it further upmarket. However, despite its appeal, there were still those for whom seven seats were either a must or an occasional need, so to cater for them the firm came up with the longer Grand C-Max, which includes an extra pair of rear seats that fold up out of the boot floor. On the plus side, this added in the practicality to let the car compete with seven-seat MPVs and SUVs aplenty; on the minus side, it compromised the standard C-Max’s stylish exterior a little and added a bit of extra weight to the mix. However, for those after either economy or oomph there are at least a good range of engine options. The petrols kick off with two versions of the 1.0-litre Ecoboost three-cylinder engine, in either 100 or 125 trim, and a 1.6 125 four-cylinder unit, while diesels come in 1.5 TDCi and 2.0 TDCi forms. The 1.0 125 engine is smooth, peppy and rather good fun, while the 1.5 diesel has enough low-down punch to push the Grand C-Max around with panache. Standard kit is generous, with three trims to choose from. The entry-level Zetec models have 16in alloys, Ford's Quickclear front windscreen, sports-style seats, air conditioning and a DAB radio. Mid-range Titanium offers 17in alloys, automatic headlights and wipers, dual-zone climate control, rear parking sensors, and keyless start and entry, there is also the inclusion of Ford's Sync 3 infotainment system with an 8.0in touchscreen. The range-topping Titanium X Grand C-Maxs get larger alloys, a panoramic sunroof, xenon headlights, a partial leather interior and heated front seats all as standard. To drive the Grand C-Max is gutsy and likeable, with any of its engine options under the bonnet. It corners with more vigour than most of its rivals, and its steering is quick and accurate, although there is a fair bit of body lean through faster corners. Ride comfort is very good, however, with the damping softening even the worst bumps and ruts. The Grand C-Max is set up to be a little softer than the ordinary C-Max, and it shows in its overall suppleness. 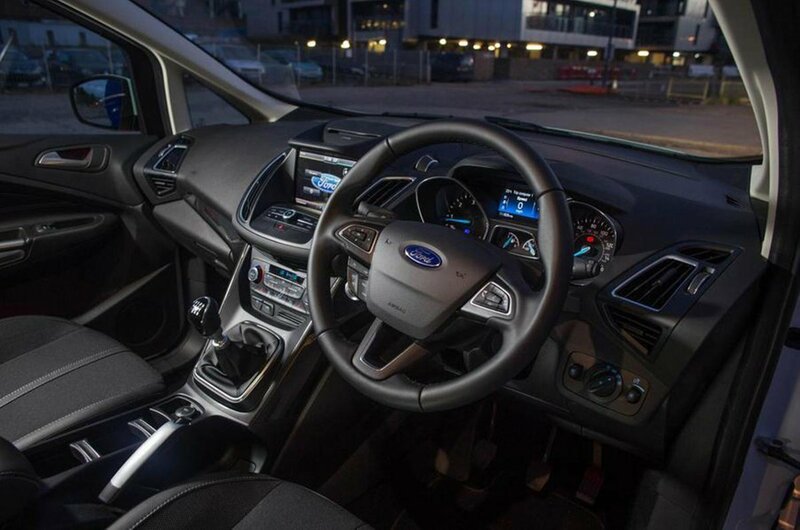 Inside, the driving position and visibility are both good, and the dashboard design and its layout is familiar Ford, with logically placed buttons (though quite a number of them ) and a fiddly touchscreen. It is deceptively spacious inside, with sliding rear doors and a clever set-up that allows the centre seat of the second row to fold beneath one of the others, leaving a ‘walk-through’ space. Ford calls the model a ‘six-plus-one’ layout, rather than a simple seven-seater. There’s good space in the second row seats for three adults abreast, and two children will be happy for short journeys in the rearmost third row. With all seven seats upright and in use, boot space is limited to just 92 litres, but fold them flat and this expands to a full 1742 litres should you need it.